Linda and Robin Reismann barely know each other. The only thing that connects them is Linda’s six-week-old marriage to Robin’s father, who has suddenly died. Widowed at twenty-six, Linda is heading to California to start over, uncertain what the future holds. In the trunk of her car, she carries her husband’s amateur paintings, along with his ashes. Robin, her silent, angry teenage stepdaughter, about to be left with relatives she’s never met, carries a private stash of pot and some closely guarded secrets. But these two women, journeying on a road alongside drifters and dreamers, lovers and liars, will discover something they never expected to find–between them and inside their hearts. 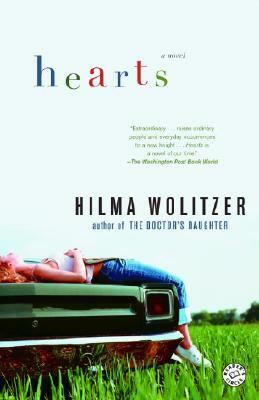 Hilma Wolitzer is the author of several novels, including An Available Man, Summer Reading, The Doctor’s Daughter, Hearts, Ending, and Tunnel of Love, as well as a nonfiction book, The Company of Writers. She is a recipient of Guggenheim and NEA fellowships, an Award in Literature from the American Academy of Arts and Letters, and the Barnes & Noble Writer for Writers Award. She has taught writing at the University of Iowa, New York University, and Columbia University.